This Ad Must Be Printed and Endorsed by J.Johnson to receive this price!! THIS IS AN EXCLUSIVE INTERNET PRICE...E-Prices cannot be combined with any other offers! Call J.Johnson for details. Please print out this ad to receive this exclusive internet pricing. Online purchases must be made through internet department to receive this price. 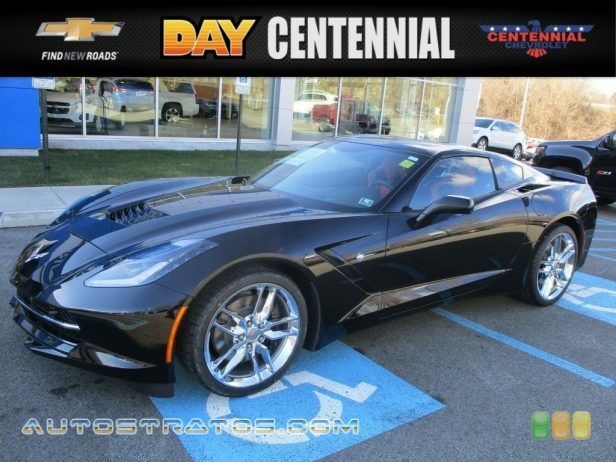 2017 Chevrolet Corvette Stingray Z51 8-Way Driver & Passenger Seat Adjusters, ABS brakes, Bose Premium 9-Speaker Audio System Feature, Compass, Electronic Stability Control, Emergency communication system, Exterior Parking Camera Rear, Front dual zone A/C, GT Bucket Seats, Heated door mirrors, Illuminated entry, Low tire pressure warning, Painted Body-Color Carbon Fiber Removable Roof Panel, Remote keyless entry, Traction control, Wheels: 19" x 8.5" Fr & 20" x 10" Rr 5-Split Spoke. Day Centennial Chevrolet on Route 51 in Uniontown, PA treats the needs of each individual customer with paramount concern. We know that you have high expectations, and as a car dealer we enjoy the challenge of meeting and exceeding those standards each and every time. Day Certified Pre-Owned means you not only get the PEACE OF MIND and assurance that comes with a Powertrain Limited Warranty, but also a 100-point inspection/reconditioning by a CERTIFIED and factory trained technician, 24/7 roadside assistance, and a complete CARFAX vehicle history report. At Centennial Chevrolet, our entire team works together to provide you with the ultimate Chevrolet shopping experience. We are here to exceed your expectations, deliver the best service possible, and make car shopping fun again. If we can be of any assistance while visiting us online, send us an email and we will promptly reply. We hope to see you soon! We're Gonna Make Your Day! (724) 438-2577. 2LT Factory MSRP: $75,205 Black 6.2L V8 8 Speed Paddle Shift with Automatic Modes RWD 15/26 City/Highway MPG Awards: * 2017 KBB.com 10 Most Awarded Brands Plus tax, title & license. Doc fee of $141.00 not included in price. On Approved Credit.